We are a yoga studio specialized in taking the student to deepen into their yoga practice, quieting their mind and strengthening their body. 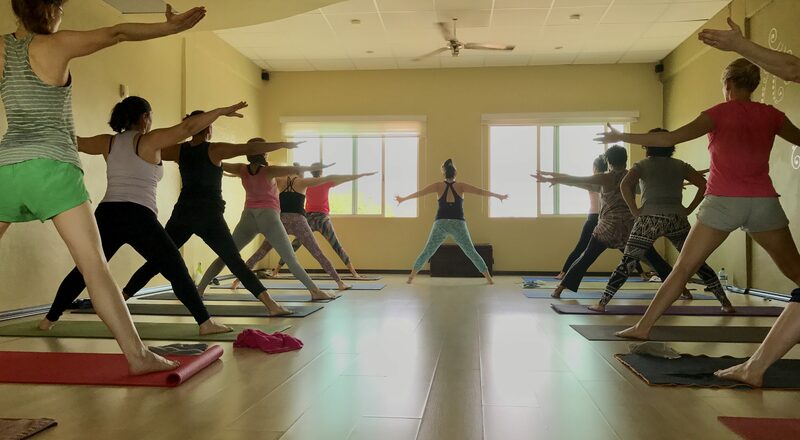 We offer classes every day of the week at the studio, personal or group private classes, retreats, workshops, reiki and thetahealing ® therapy and 200 and 300 hrs Yoga Teacher Trainings accredited by yoga alliance. 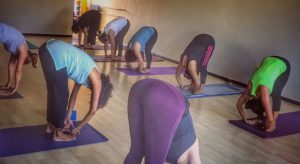 Rocket Yoga ® or “The Rocket®” is an invigorating routine designed to awaken and nourish with the precious prana to the nervous system. It takes you to challenge your mind, your body and your emotions to awaken a spirit of change and freedom during practice. They are 3 sequences that combine positions from the First to the Third Series of the Ashtanga Vinyasa. 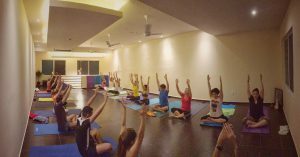 Vinyasa Yoga se refiere a una forma de yoga, que sigue a una serie particular de asanas (posturas). Estas posturas se suceden, con el fin de crear un patrón específico o un flujo suave. 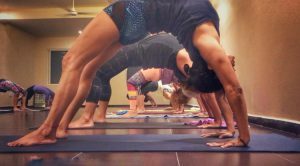 En Yoga Vinyasa, todas las posturas sostenidas por el cuerpo están conectadas a través de la respiración rítmica, por lo que la fuerza y la energía se crea en el cuerpo. It is a semi-dynamic class and with ever changing sequences, they are usually quieter classes of rhythm but with more physical resistance. Being a practice that works more alignment teaches us to accept tolerance and embrace willpower. 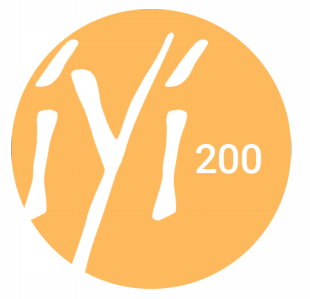 Yin Yoga is a very quiet practice, whose work or practice is very interesting or functional, especially for people who are very nervous or anxious …. 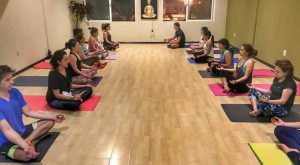 This class is passive in the realization of the different asanas, which are usually kept for 3 to 5 minutes each, which gives time for a deep journey to the unfolding, towards the meditative aspects of yoga, sometimes working the silence , Other times breathing, or mantras as a bridge to connect the body with the mind and spirit. Kundalini yoga is a technique for transformation and mastery of the mind. In these classes are practiced asanas (postures), pranayamas (breathing), mantras, mudras and meditation thus becoming a very complete discipline and the perfect complement to life. 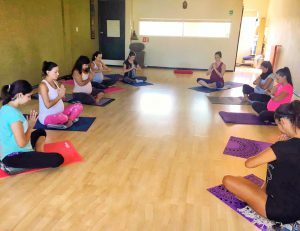 Yoga for pregnant women allows expectant mothers to take care of their body, their mind, and protect themselves to receive in a relaxed way the unborn baby. Adapting the postures to that body in constant change and allowing it to retain the elasticity. It will keep you in shape, improve strength and give you calmness and control. In addition to benefiting your baby’s health, yoga is highly recommended to prepare you for childbirth. Reconcile yourself with your Yoga practice, with your body and with your mind in the company of your baby. Devote yourself to that sacred space of exercising, meditating and recovering beside that special being. 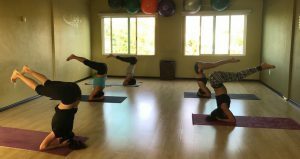 This class focuses on postures and breathing techniques for Mom. Special attention is given to the realignment of your body – especially your tense shoulders, arching back (consequences of carrying and nursing your growing baby), strengthens abdominal muscles, develops muscle strength and increases flexibility. Children will learn to relax and exercise their breathing. It will help them cope with life situations and lack of concentration. 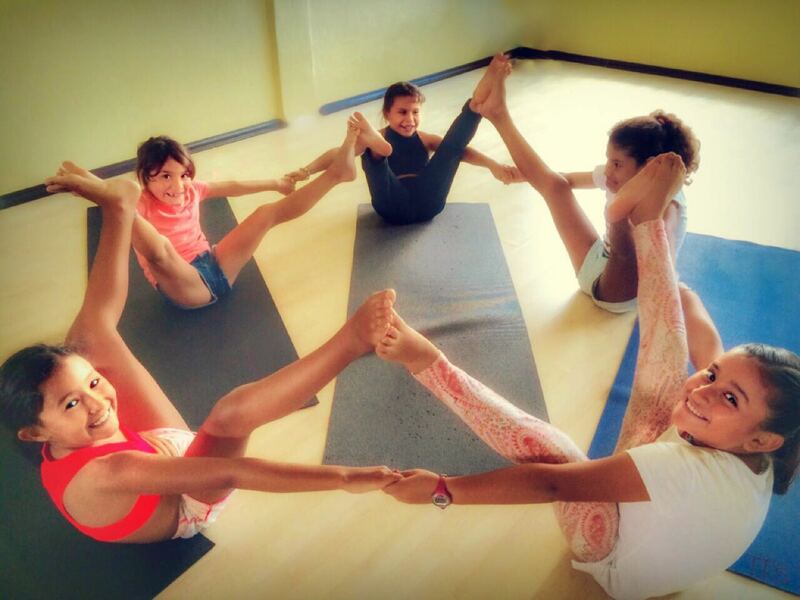 Yoga for children at It’s Yoga will help them take physical and psychic mastery.